The Overland Campaign: War of Attrition? Rhea, for one, has produced what I consider to be the very best set of books ever written on the Overland Campaign. Despite this even he falls into the “exhausted manpower reserve” fallacy. I say “fallacy” for reasons explored in this essay. Personally, I think these argument insult not only Grant (which they were originally designed to do before being blindly accepted up to the present day), but also Lee and his Army of Northern Virginia. At best, it is a gross oversimplification of what happened in 1864, and at worst it is a willful misrepresentation of facts, some facts of which are still appearing with new scholarship on the subject. The relative strength of the Federal and Confederate armies is a matter of great importance, and its proper solution is surrounded by obvious difficulties. Even our own people are in profound ignorance of the great odds against which we fought, while Northern writers have persistently misrepresented the facts. We feel, therefore, that we will be doing valuable service in publishing in our Papers the following letter of General Early to the London Standard in reply to General Badeau, General Grant’s staff officer and biographer. The calculation that Grant had three times as many men as Lee has been obtained by omitting Longstreet’s corps altogether from the estimate, and by giving only Lee’s force present for duty on the Rapidan ; while in reckoning Grant’s numbers, not only the present for duty are counted, but those constituting what, in military parlance, is called the total, which includes the sick, the extra duty men, and various others, invariably amounting, in any large army, to many thousands. Manifestly, either Lee’s total should be compared with Grant’s total, or Grant’s present for duty with Lee’s present for duty. But besides this, in order to make out Grant’s army three times as large as Lee’s, Grant’s two forces in the Valley of Virginia and on the James river (each at least one hundred miles from the Wilderness) are included in the estimate of his strength ; while the troops which Lee had in front of these separate forces of Grant are left out of the calculation altogether. 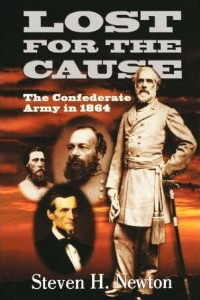 I repeat that in the battle of the Wilderness Lee had about 72,000 engaged,while Grant had 98,000 present for duty according to the confidential field returns made at the time by each general to his own Government, when no general would intentionally misstate or mislead. Early spends the better part of the article explaining why Grant’s numbers were much larger and Lee’s numbers were much smaller than those Badeau proposes. And the debate over Lee and Grant’s respective strengths was on, a debate which Early and other proponents of the Lost Cause won, at least for over 100 years, in the decades after the war. Looking more carefully at these numbers, we see that Grant had 122,119 PFD on the Rapidan line as the Overland Campaign commenced. 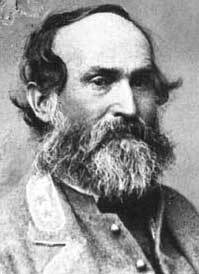 Likewise, Lee had 65,141 PFD with another 882 PFD on the way, a total of 66,023 PFD on the Rapidan line or on the way as the Overland Campaign commenced. Taking Lee’s strength as a percentage of Grant’s strength, we get 53.34%, a very slight difference from the overall percent total. Newton’s estimates, if correct, indicate that Grant didn’t even outnumber Lee 2:1, much less the more ridiculous claims of 3:1. I’ve not really opened too many eyes to anything for experienced Civil War readers to this point, but I wanted to make sure modern scholarship was taken into account first. To be fair, some corners of the Civil War world have challenged Newton’s methods, so make sure you take the time to buy/look at the book first to see if you agree. I do, for the record. After 40,000+ Casualties, Lee’s Army Has Better Strength Odds on June 30, 1864. How? Confederate losses thus reported represented 48.1% of their initial strength (although it will soon be demonstrated that these estimates are far too low), while Federal casualties accounted for 49.2%–virtually identical rates of attrition. According to the theory that Lee’s losses were irreplaceable and Grant’s were not, and given the tens of thousands of reinforcements funneled into the Union armies during the same period, the strength ratios between the contending armies around Richmond and Petersburg should have tilted considerably in favor of the Federals by 30 June 1864 (the next date for which reliable Confederate returns are available). Clearly, Grant’s “grinding” wasn’t working at least through early summer 1864. More importantly, how could Lee suffer at least 41,138 casualties through June 30, 1864 and still have 73,193 PFD on June 30, 1864? He would have needed 28,791 replacements, men who weren’t supposed to be there. But they were (and then some), and Newton produces an entire page of reinforcements with PFD numbers to pr0ve it. In fact, Lee obtained 57,938 additional men through reinforcements (~45,000) and wounded returned to duty (~12,600) from May 1-June 30, 1864. All of these considerations should firmly wipe away the attrition myth, and should cause future scholars to change the way they think about how the Overland Campaign was fought and decided. The prevailing narrative depicts Confederates as outstripped nearly two to one and portrays Grant suffering losses at a rate nearly double that of Lee. Many Civil War scholars contend that the campaign proved a clear numerical victory for Lee but a tactical triumph for Grant. Young’s decade of research, however, contests that notion with new statistical data. Through careful and thorough analysis of information compiled from the National Archives and personal estates Young challenges common assumptions about the Overland Campaign, showing clearly that Lee’s army stood far larger in strength and size and suffered much higher casualties than previously believed. I’ve signed on for a review copy of the book, and I hope to make contact with Mr. Young in the coming weeks in order to interview him in depth about his methods. Lee’s Army during the Overland Campaign: A Numerical Study has the potential to be one of the most important Civil War books published at least this decade, and probably since the beginning of the century. I for one can’t wait. Though the article may be very well presented, the title is very distasteful… Calling the Honorable General Robert E. Lee Bobby is disgusting, to say the least. Hypothetically speaking, would you be offended if I referred to Ulysses S. Grant as “Sam” Grant? Honest question. I meant no disrespect to General Lee. The more I study the last year of the war the more it becomes clear that he tried to do almost everything himself as his command structure was decimated, more than likely shortening his own life in the process. ‘Bobby’ or ‘Bobbie’ Lee has been used for over a century by civil war participants and historians, so I dont see what the big deal is. While I am not a particular student of the eastern theater, I found your discussion of the numbers for the Wilderness Campaign a revelation. I too have accepted without question the standard wisdom regarding Grant’s numbers and Lee’s attrition. Well done; I look forward to more in this vein. The fact is, 150 years on, we are still learning new things about the Late Unpleasantness. As regard your “disrespect” to Bobby Lee, all I can say is that that nickname is mild compared to the things said about other Confederate and Union generals by their own men. On the Union side: “Old Brains,” “Fuss and Feathers,” “Oh-oh” Howard, etc. ; and the things said about Bragg and Hood by the men of the Army of Tennessee were enough to make their ears burn. This sanctification of Confederate leaders was part of the postwar Lost Cause myth. The leaders on both sides were men; capable of human error and personal faults, and putting layers of plaster over them and burning incense at their alters is a disservice to them as soldiers and as men. This is as true of Lincoln and Grant as it is of the pantheon of the Lost Cause. Thanks for the comments. One of the things which became apparent to me after studying the Siege of Petersburg (and naturally going back to fact check things during the Overland Campaign) is that too often everyone (myself included) just accepts agenda driven postwar statements without taking a critical look. The more often studied Eastern battles of 1861-3 even suffer from this to some extent, but it seems (without any type of analytical study on my part) that the battles from the Wilderness to Appomattox are just glossed over with an air of inevitability. While I agree that this could probably be done for anything from November 1864 on, these massive, casualty filled battles should be given the attention they deserve. I’m doing my best to shed light on them when and where I can with my admittedly small corner of Civil War cyberspace. It’s a good book and as you say quite interesting. One of Newton’s surprising findings conclusions was that attrition actually worked in favor of the Confederates in the Overland Campaign, which is at odds with those who say that Grant “gutted” the ANV. I always wondered how the ANV was still able to strike telling blows against the AOP late in 1864 — Newton gives us one reason. What I’d like to see is a breakdown of Union officer casualties, particularly for the AOP. I think is one of the main reasons for its sometimes poor performance later that year.